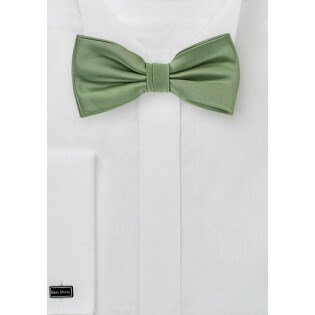 One of our favorite green hues is brought to us by neckwear designer Puccini. This sage color looks fantastic in summer and fall - especially when paired with your classic dark blue jacket. While popular for wedding parties, we also had fun pairing it with a casual look consisting of white and blue checkered shirt, gray V-neck sweater, as well as gray flannel pants. Made from microfiber. 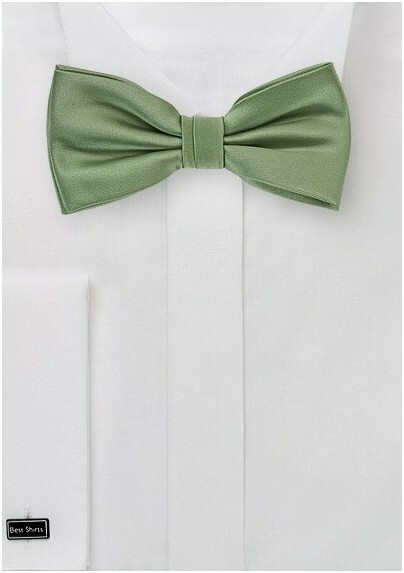 Style: Pre-Tied Bow Tie | Length: 13" - 19"